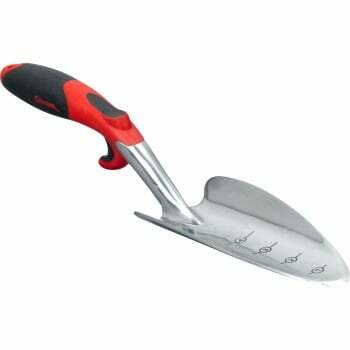 This Corona ergonomically designed garden trowel from Ruddick Garden Gifts has a cast aluminum large trowel head perfect for all garden projects. The ergonomically designed handle gives a comfortable grip and is coloured red and black. Ideal gift for keen gardeners.